and Kundan complemented her look splendidly. stunning nath, and the gold and Kundan accessories completed her look. 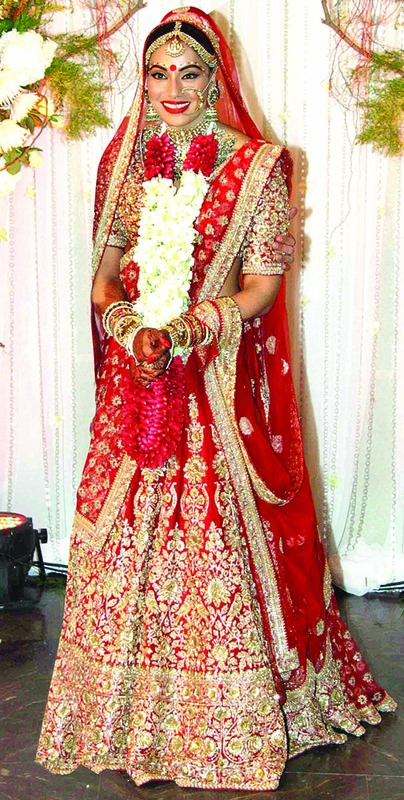 Neetu Navani was stunning in her richlyembroidered red andgold lehenga. Apart fromher chuda, the bride’sgold and Polki jewelleryset made for a beautifulwedding look. Shivani opted for the most beautiful shade of pink for her wedding lehenga. accessories made her look charming..